The new freight complex at Moscow Sheremetyevo Airport is the by far the most modern and efficient cargo terminal at any Russian air-port. This was proven to invitees from airlines, forwarding agents and press who could witness this themselves during a visit to the facility last Tuesday. 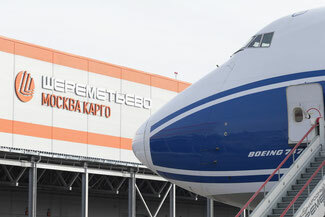 The pride of the Sheremetyevo managers was clearly shown in their eyes when guiding their guests through the freight facility, emphasizing that “Moscow Cargo” not only meets international ground handling standards but even exceeds the level of technical layout most other facilities are equipped with. In his presentation, Vladimir Fedorenko, General Director of “Moscow Cargo” stated that the terminal covers an area of 42,300 square meters, offering a yearly throughput capacity of 380,000 tons. In particular, he gave credit to German provider Lodige that delivered and installed the modern technology the building is equipped with. “The Lodige manufactured system enables production processes to reach an automation level of 60 percent,” said the manager. He further pointed out that within the terminal there are independent container and bulk storage areas, where operations are performed by unified automated systems. "At ‘Moscow Cargo’ we are capable of handling all types of dangerous goods including explosive and radioactive materials,” Mr Fedorenko exclaimed. To better serve customers, new standards have been set through a queuing system and 20 counters for shippers and consignees to obtain documents and submit their payments. By entering their personal account on the website of “Moscow Cargo,” customers can retrieve the status of their shipments at any time, print cargo tags as well as safety declarations if needed. Actually, the freight complex went online already in September of last year, followed by a thorough trial and test period to avoid operational mishaps. 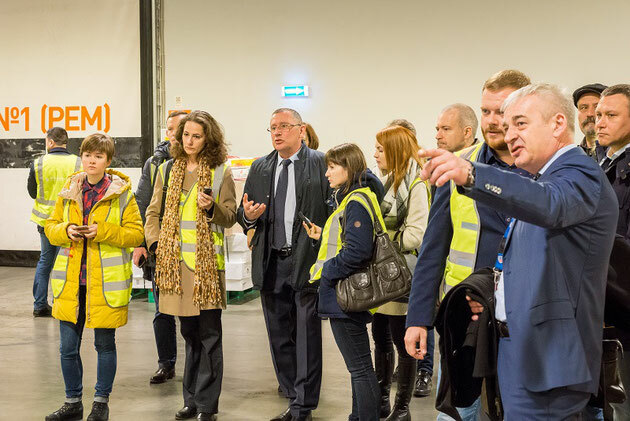 From last September until January, all domestic and international freight activities were transited from the old facilities to the new building without any problems, assure the Sheremetyevo cargo managers. 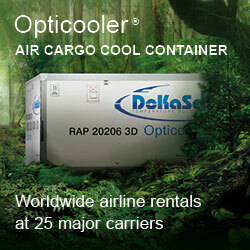 “Moscow Cargo” is a central part of the airport’s long-term development program, stretching until 2026. Due to rising market demand and the steadily growing volumes transported by SVO’s main clients AirBridgeCargo Aeroflot Cargo and Volga-Dnepr, Fedorenko and his team expect to handle 700,000 tons per year by 2024. 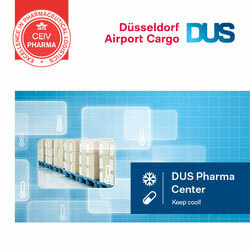 In view of this perspective, it is no surprise that plans for building a second facility resembling the one just inaugurated are in the drawers of the local cargo executives. The construction work is scheduled for starting already this year. The airport handled more than 290,000 tonnes of cargo in 2017, which is 27,3% more compared to 2016. The volume of mail handled increased by 43,8% up to 35,000 tonnes. Thus, Sheremetyevo handled more than 60% of the overall MOW freight traffic.